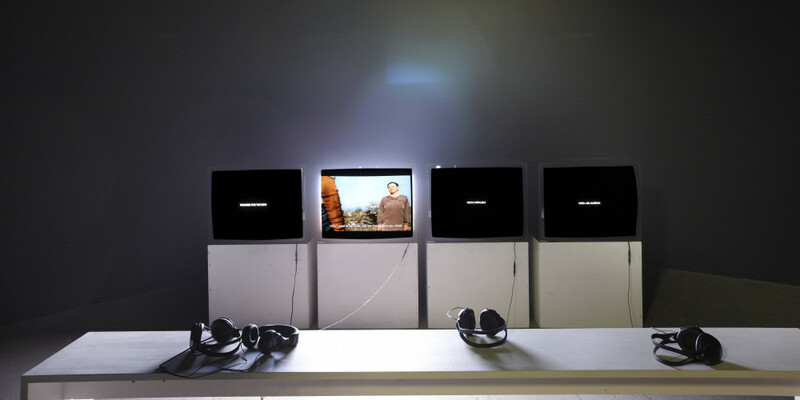 Installation view, Shedhalle, Zürich, 2012, Forms of Participation -exhibition. The Turku archipelago – thousands of islands located on the Baltic Sea – provide the framework for four sci-fi scenarios. 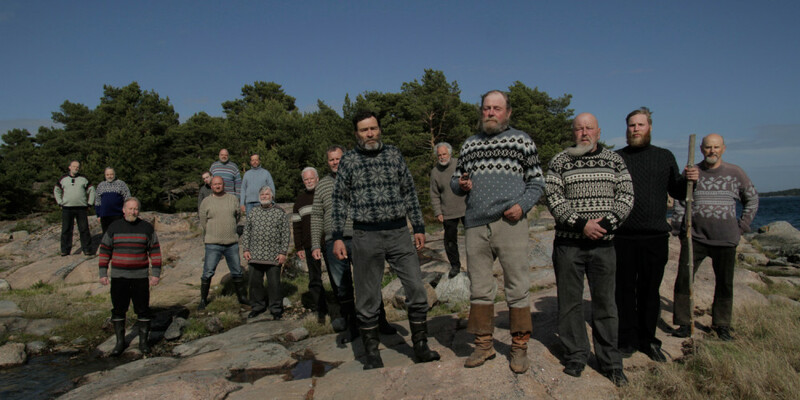 The islanders themselves perform the hilarious and sometimes chilling episodes they scripted based on their own fears and hopes of how the area will develop in 100 years. An outdoor museum for the Chinese middle-class. Regardless of their surrealistic ambiance the visions are contemporary and universal. These actually inhabited islands open a dizzying window for viewing current social tendencies. Using web questionnaires and face to face interviews the filmmakers Tellervo Kalleinen, Oliver Kochta-Kalleinen and Henrik Andersson mapped islanders´ worst and best case scenarios about the future of the archipelago. Based on those interviews, three workshops were held at Utö, Houtskär and Korpo -islands. The workshops produced different science fiction film ideas portraying bleak or optimistic (or both) visions of the archipelago of Turku in the year 2111. More than 100 locals acted in the films. 4 monitors with headphones, a bench. One monitor is reserved for each of the episodes. You can see the title of the episodes in each of the monitors. One episode at a time is running. One channel -version available for screenings.